You can't get closer to the lakefront than this! Wake up to the most stunning views in this modern, well-presented 3 bedroom apartment. With a spa, heated pool and the lake all at your doorstep - there is something for everyone. The living areas are open plan and the lounge has sliding doors leading out to a large balcony with views, BBQ and outdoor furniture. Vistas of Taupo Township are brilliantly lit across sparkling waters at night. There are 3 bedrooms with the master bedroom featuring its' own ensuite. No hidden costs! - Your nightly rate includes bedding, towels and exit clean. Modern interior, kitchen complete with high quality integrated appliances, stereo, TV, full laundry facilities. Quality furnishings throughout, coupled with a private sauna and gymnasium within the complex. Town is a short walk away but should you have forgotten anything there is a Mobil service station across the road. 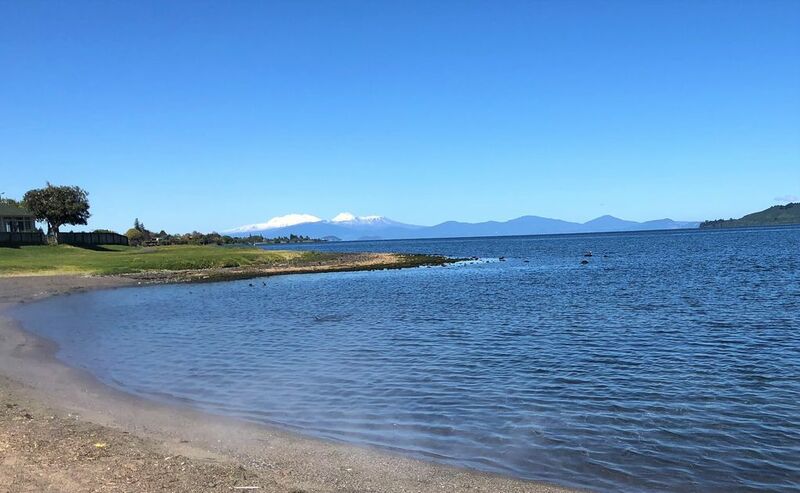 The Taupo airport is 5 minutes drive away. A beautiful, spacious apartment in a fantastic location. A beautiful, spacious apartment in a fantastic location. It could do with a technology upgrade, but other than that - highly recommended. Loved every aspect of it! Great location metres from the lake. Great location metres from the lake. Very spacious apartment! My daughter enjoyed the pool! A short drive from the town. Carpet near kitchen could do with repairing/replacing and some more information on local attractions would be useful as the website suggested wasn't much help. If we come back, we would definitely stay here again. Great location, spacious apartment, beautiful view of the lake and a thermally heated pool within the complex which our teenage boys loved! Would stay again, thankyou.